A Set of Alphabet Vector characters. 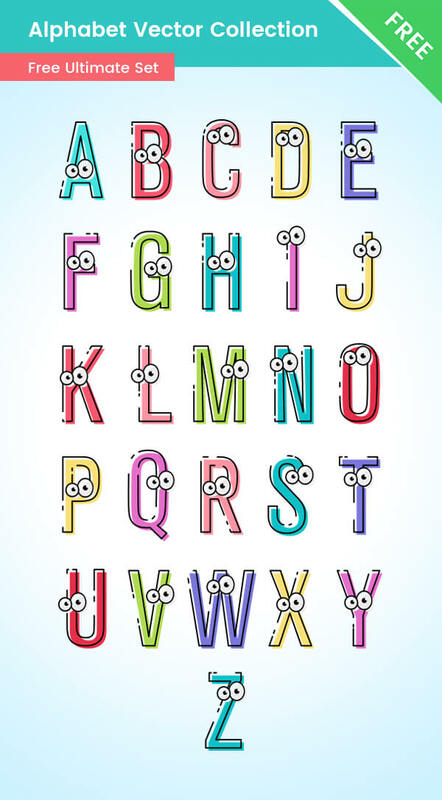 This set includes all English alphabet letters, presented in a modern way with stroke and eyes. These alphabet characters will definitely help you build extraordinary designs! All of the ABCs symbols are made in a vector format, so you can easily modify their shapes and colors. This alphabet is perfect for design projects that have to be modern and different at the same time. Plus, the whole alphabet vector set is available for free download.